Clyde (aka Photospher) is a skilled and successful commercial photographer who has been a valuable contributor on Dyxum Forums . Clyde has kindly agreed to share his portraiture exposure techniques in the form of this knowledgebase article. It’s an excellent read, with a lot of useful information - I particularly like how simple Clyde keeps his shoots. The results are excellent. I’m sure you will enjoy it, and learn from it. As an aside, the images in this article have been hosted on Dyxum. They remain the property of Clyde, so please respect Clyde’s copyright do not copy or reproduce them. Also be sure to visit Clyde's website (at the end of the article) for more inspiring work. There are countless ways to meter for portraits. One of the reasons I prefer Sony/Maxxum cameras is the ease of which they allow spot metering lock on a model's face in full automatic mode. What sets Sony/Maxxum apart from most of the competition is their ability to lock toggle that reading, without having to hold the button down to keep the reading. The lock feature allows an entire session to be captured with one click of the button, a quick exposure compensation... all in automatic. I prefer to work in Aperture Priority mode. 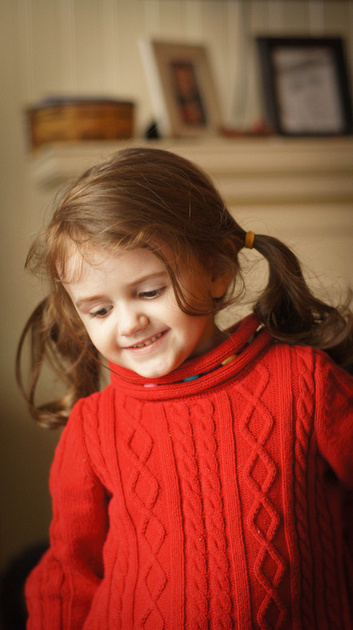 But this method would also work well with Shutter Priority, Program, and full Manual metering. In Manual exposure mode, the Spot Lock feature will lock the exposure value so that shutter speed and aperture change in unison but keep the same light values. Any way you use Spot Lock, the metering value is locked in, and you as the photographer are free to adjust aperture and shutter speed in unison to accommodate background blur or motion. For ease of explanation, you’ll see that by spot metering on the face without exposure compensation produces a relatively dark image. I find that with fair skin tones, a +1 stop exposure compensation is all that is needed to bring image density to where I want it to be for great proofing right out of the camera, and good files to work with later on in PS. Since the film days, with a Maxxum 9xi and 600si, I've metered for natural light portraits with Spot Lock on the model face with a +1 exposure compensation. Today, I don't even bother with taking a "0" reading. My camera is set for +1 all day and adjusted from there. I only show the "0" setting here for demonstration purposes. An argument could be made that +0.7 may be better suited for proper exposure. My preference is +1 in most situations (even for film). This setting really gives the girls those bright and creamy skin tones they want to see. The method works equally well for both front lit and back lit sittings. 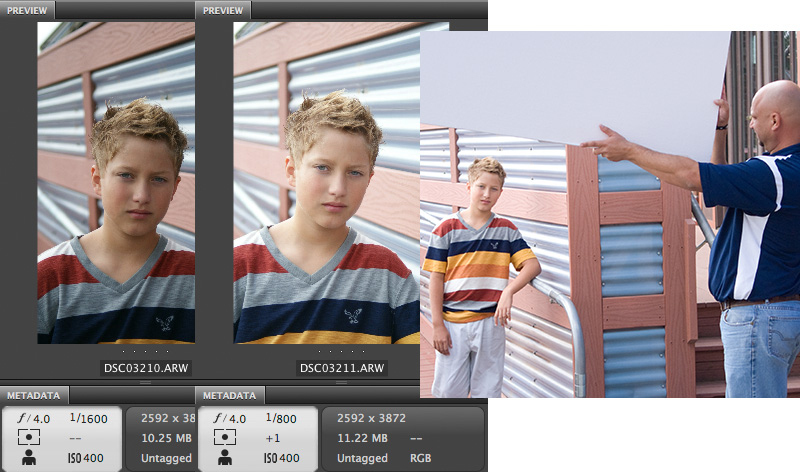 When shooting a person with medium skin tones, I’ll use +0.5 or +0.7, as not to brighten them up too much. For darker skin tones, the spot meter is typically set to “0” compensation. Darker skin tones are just about the same density as a gray card, or a new pair of blue jeans. This is something you’ll want to adjust for personal taste. The slight side lighting here does not affect the formula of +1 compensation too much for concern. But now changing to the opposite side from the previous shot requires a meter reset and new reading. Notice the exposure is exactly the same at 1/320ss / f4. But the exposure compensation to get there requires a new exposure compensation at +1.3 rather than the standard +1.0. 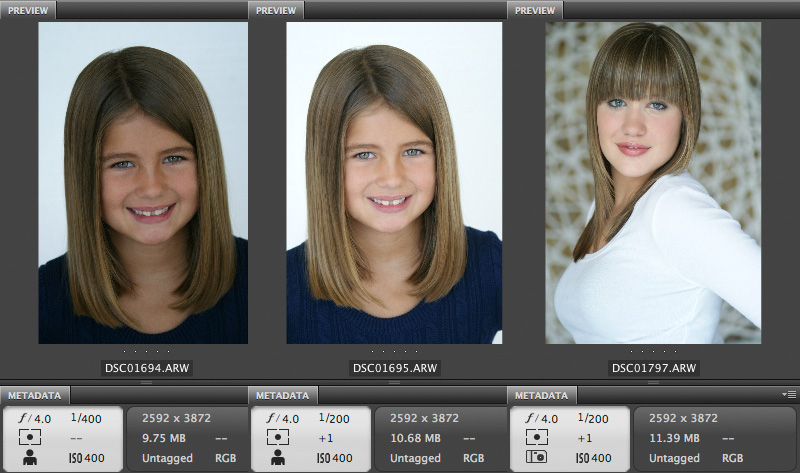 Experiment to taste, but know that you’ll always be pretty close if you spot meter on the face and add exposure comp. For front lighting (natural window light), neither the background nor clothing will influence the spot reading on the model face. You’ll still retain great detail in both the shadows of dark clothing and the highlights of bright whites. Now the shot below on the far right is accomplished with a photo reflector below the model face, rather than complete natural lighting shown in all the others so far. Make sure you take the spot meter reading based upon the light with the reflector. This formula doesn’t work if you shoot with a reflector but didn’t meter with it in place. Again, if you use reflectors for fill lighting, make sure that your meter reading includes that reflected light. Then just add +1.0 exposure compensation and you’re pretty close to where you need to be. Strong side lighting requires a more precise spot meter reading. In this case, spot meter was directed only upon the highlight side of the face. To get that super bright contrasty look, cheat a little and try adding +1.3. With about $400 worth of Sony/Maxxum kit, a photographer has everything needed to produce a professional photo shoot for paying clients. I could have used expensive lenses and high MP full frame cameras for this weekend actors portrait shoot. But experience has taught me that high volume retail sessions don’t always require ultimate quality that will never be seen. What’s needed here is IQ good enough to fulfil the client requirements, yet also allows smaller files for super fast image editing and post production finishing. I’ll shoot about ten people per day, multiple looks, with around 1600 images to sort through per day. Fast shooting and image processing is important to make this job profitable and enjoyable. For this, the a200, and similar cameras, are actually overkill in terms of quality needed. The largest portfolio print these actors will ever use is a 9x12. 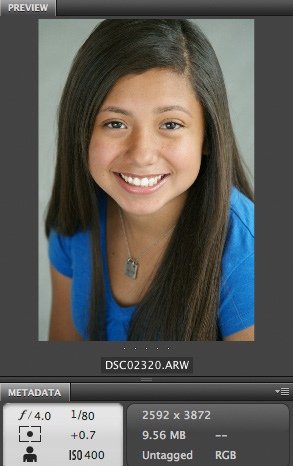 And their comp cards are letter size at best with many of the shots being run as 4x6. I’ve shot this particular client for over twenty years, with never a complaint about quality, even when I used to shoot it with a 3.5mp Fuji S1. Having a camera in my hand all day, the issue of lightweight is a major factor for me. I have no desire to hold a big a900 with vertical grip and a heavy f2.8 super zoom all day. Aside from size, what Sony brings to the game is the Maxxum DNA of Spot Meter Toggle mode. This method of metering portraits makes for quick work in the field, allowing me to concentrate on interacting with the subject rather than fiddling with camera controls. Add about $200 worth of quality Maxxum vintage glass, and I’ve got a guilt free recipe for equipment abuse in a package that really delivers. Nothing beats the functionality of Sony/Maxxum designed cameras for quick work on busy days. Here’s the finished files of much of the shoot. Spot Lock Toggle was used entirely. And the constant f4 apertures of the 35-70mm f4 and 70-210mm f4 beercan duo made quick work for shooting high quality wide open all day long without worrying that an aperture would shift during zoom. In fact, much of the metering was accomplished by zooming in fully, spot meter on face, then zoom out for the actual shoot. Both these little lenses are lightweight, fast operating, and focus very close for headshots. Add the 24-50mm f4 and you’ve got a great kit for events too. Clyde -- looking through your gallery is an edifying experience considering the resources used. You are a true master of light! Thanks Clyde. I'd just worked out to do that myself, through trial and error, but the additional details here will save me a lot more trial and error! Very well written and illustrated too. Interestingly, there have been a series of articles in the UKs "Amateur Photographer" magazine (a very long running and well respected weekly here), and the author suggested +ve EV for caucasian skin, but -ve EV for dark skin (and little or no compensation for medium skintones such as Mediterranean or some asian skin tones). I would be interested to know if the pictures you posted with such nice skint ones are stragith from camera, or post processed (i.e. from raw), and what camera and colour settings you tend to use. (I often struggle to get what I regard as "nice" skin tones). ...stragith from camera, or post processed (i.e. from raw), and what camera and colour settings you tend to use. (I often struggle to get what I regard as "nice" skin tones). 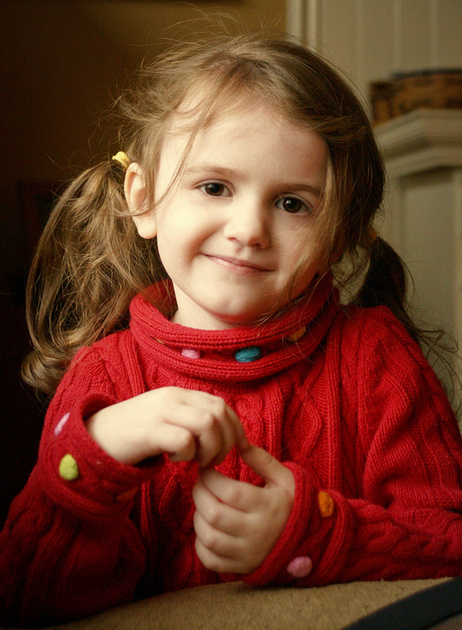 Hi artuk, the photos shown from the Adobe Bridge screen shots are completely RAW untouched. The shots at the bottom of the article are all the finished retouched product delivered to client with final treatments. This particular shoot only required 8x12 prints and so I shot with Sony a200, 70-210mm f4 beercan and 35-70mm f4 mini beercan. Plenty of quality for that and sometimes a 16x24 order will come through with no problems. All the head shots wide open at f4. I only use f5.6 at the tele end of the 70-210mm for full length shots. It gives a little better edge sharpness where the face is at the top. 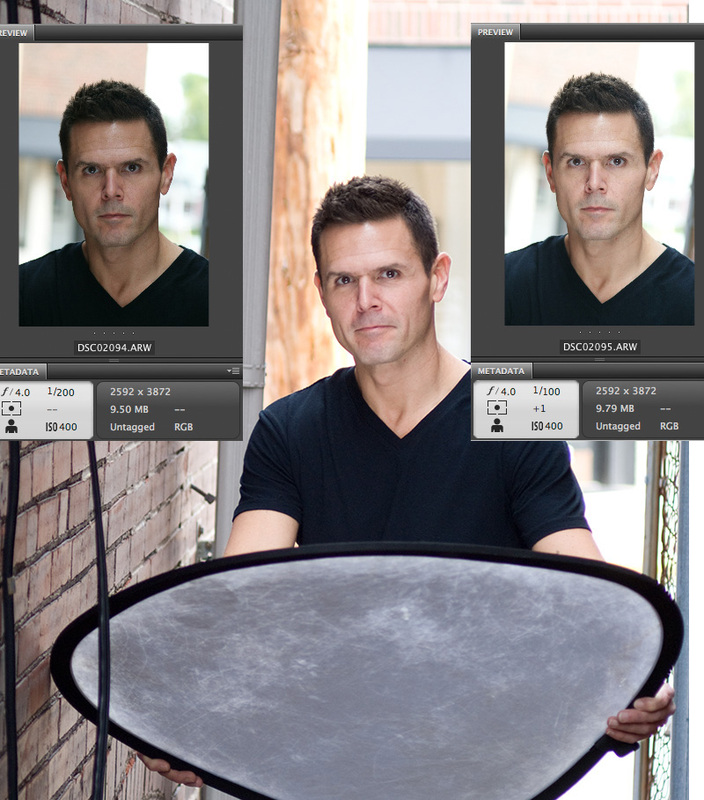 But for head shots, I only care about center sharpness on the eyes. Both these little Maxxum zooms are excellent wide open in center. The 35-70mm is especially sharp in macro mode, and since I use all manual focus, it works great for me. On such busy days, I leave camera white balance at 5000K. 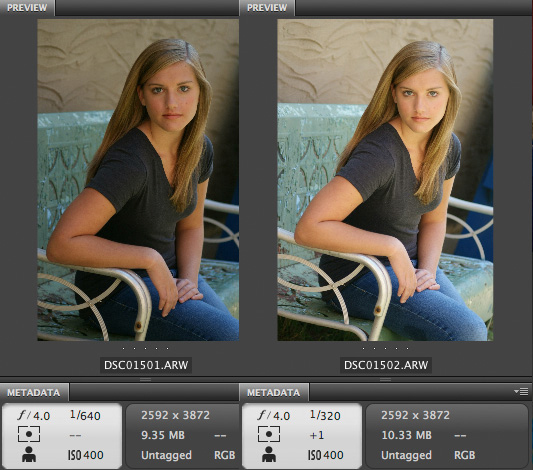 All shots get final color corrections for web proofs in Camera RAW before converting to JPGs. When final order comes, I'll pull the RAW file and finish with retouching and final treatments, like the shots at the bottom of this article. Thanks a lot for this wonderful information and the work you put on it. I usually use the beercan and/or the 50/1.4 (if I am at home) for portraits. and I think the 35-70 is a great cheap lens! A very nice read and very generous of you to share. The illustrations are really great and while looking at them I couldn't help but notice the color balance. Do you set a custom white balance or do you shoot a gray and adjust later? Clyde, one question I forgot before. Why did you use iso400 all the time. It seems like in many shots you could have use iso 100 or 200 without any problems, is a specific reason on why the iso 400? ...the color balance. Do you set a custom white balance or do you shoot a gray and adjust later? It really depends on the shoot, the output requirements, and what product is being sold. For newbie wanna be model/actor portraits (and any portrait for that matter), or editorial fashion, the product is the model. Skin tones are most important. That's best left for my eye to judge. Not a gray card. Reality is secondary. The "feeling" is paramount. I set a mental "target" before these shoots... In this case the target to hit is "approachable". I want the models to be "approachable". The pathway to depict them as "approachable" is to capture them as clean, fresh, glowing, confident, satisfied. This is a matter of taste and experience. A gray card just gets in the way... for me. So my camera lives at 5000K, shot on RAW. I found when using a gray card, that I was adjusting to my personal taste anyway. So I stopped using one for these types of shots. I just "eye it up" from a calibrated Mac Cinema Display. Two monitors actually... one stock from factory to color balance web views, and the other calibrated for my print shop, which is color accurate for North American CMYK PrePress. This satisfies my Imation Matchprint Press, the Canon IPF 12 color, and anything requiring out lab CMYK. But for catalog fashion work, the product is the clothing. Gray Card (and color chart) will definitely be used for any product where customer is ordering through catalog. It gives a reference to the pre press house, and helps to ensure that red dress in the catalog is close to the red dress delivered to the customer. 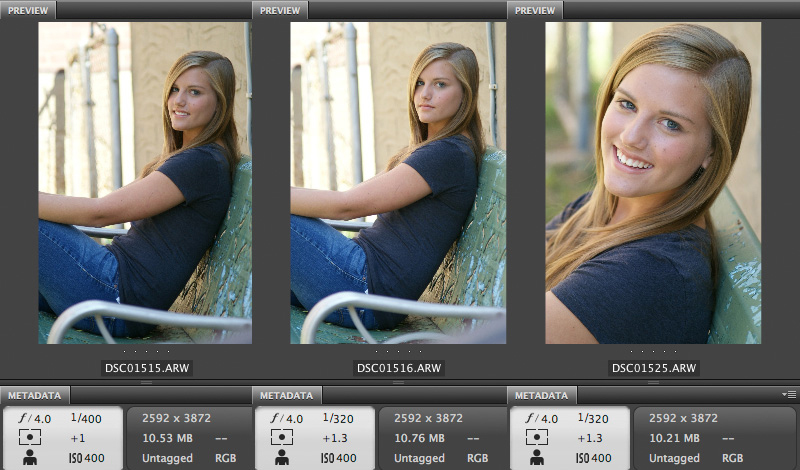 I'll still shoot at 5000K RAW, but use the gray card for accurate color balance in PS. It's a matter of being shoot specific. The final output requirements for this particular job are well served by iso400 on a 10mp camera (a200). In my old age, I've discovered certain jobs that simply don't justify ultimate image quality. The hassles of changing ISO are traded for the benefits of an invisible camera. I want the camera to disappear. These heavy shoot days are best served by me interacting with the talent and stylists. I have no desire to fiddle with gear or settings. I'd much rather joke around with the kids. The a900 slept in the bag all day as backup. I didn't even bring the prime lenses. But for anything art related, journalism, or personal projects, I'll definitely "fiddle" with settings to ensure potential for ultimate IQ later on. Each job gets it's own "base settings" philosophy at the beginning. That philosophy is designed to fulfill the final output requirements. For instance, I just shot a parts catalog for a refrigeration company. Tiny little parts that would never be displayed beyond 300x300pxl on a web site. No one, not me, nor my client wants to rifle through a thousand full resolution 24mp RAW files just to end up resize them later on. I learned this philosophy early on in my career when shooting client work for catalog. Art directors would bring us page layouts that had specific output sizing requirements. We'd tape the translucent sheets to the back of our view cameras. We'd use 8x10 for full and half page, but smaller shots were satisfied with 4x5 and medium format. We called it "shoot to size", literally cropping the shot based upon the page layout photo box taped to the back of the view camera. Doing so made everyones job much easier in post production. I guess old habits are hard to break. Thank you for sharing the secrets ... I will definitely try it next time when there is a portrait session. Really enjoyed the read and all those nice pictures. A question, do you need to add contrast and saturation to the photos ? in camera or by software ? ...do you need to add contrast and saturation to the photos ? in camera or by software ? 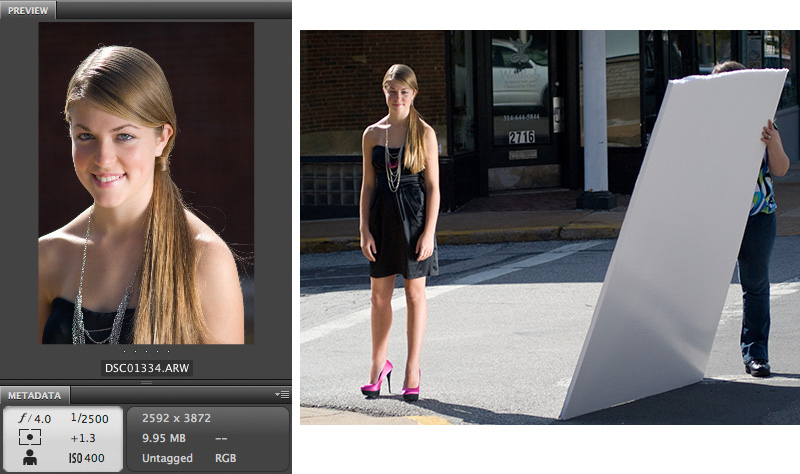 You can judge from the preview photos if they "need" post processing to your personal liking or not. That's fairly subjective depending upon the final look desired by the photographer. Personally, for me, image correction is a three step process. First, get the color/contrast levels in a good range at the time of capture. Second, perform global color corrections to prepare for client web proofing. And thirdly, give each final image order the battery of retouching, color/saturation tweak, burning, dodging, sharpening required for each particular publishing medium. I'll begin with the image in largest size and retouch all blemishes, airbrush skin tones. Then save the original as a layered TIFF. Final treatments will be different depending upon if client is ordering an in house print, or canvas, or an out lab service with different color calibration. Each image order is then sized for appropriate medium (web or print) and sharpened specifically for that specific size and for that specific purpose. Then I save that version as JPGfin. Sometimes I can resize from that JPGfin to another size, and sometimes I have to go back to the full size layered TIFF for another set of corrections. Point being, that client may order a glossy 8x12 print, and a flat 11x17 stretched canvas or cotton rag print. The color/contrast/saturation and everything will be different between those mediums, just as it is for a 300pxl vs 900pxl web shot. Your work speaks for itself and it is exquisite, but when using flash I prefer to use a flash meter in manual exposure mode, I just like the results better, but to each his own. Thanks for sharing, and I do agree about the 35-70 and 70-210 f4 lenses, they are superb. Thanks for the tips, I will have to try them out some more, my first attempt shows I need much more work, I will have to try the 5000k wb and wish I would have kept my 35-70 and beercan. I tried my 50 1.4 and then my 30 2.8 macro was near so I tried it. Your work is amazing by the way!! Minolta 100 f2, 50 1.7, 85 1.4 RS, , 35-105, sony 30 macro, tokina 19-35, Beercan.